It’s Christmas time again, and most of us are planning those long-awaited family gatherings, decorating the Christmas tree, buying pressies and fine tuning the lunch or dinner menu for those nearest and dearest to us. When it comes to drinks, they often get overlooked, or most people default to beer and wine. Few will go the extra mile to organise a drinks menu. We often end up with pre-mixed drinks that can get costly and there’s never enough on a hot summer Christmas day. This year, be wiser and get inspired by creating your own sharing-style cocktails or punch. To do so, there’s one key ingredient to bring these to fruition – Cointreau. Well-known amongst the bartender universe, Cointreau is a versatile drink and features in over 350 cocktails in the world – Impressive to say the least, Cointreau has become a staple ingredient since its initiation into cocktail culture, holding its presence as the heart of the finest and best-known cocktails since 1849. The iconic Margarita, The Cosmopolitan, White Lady and Side Car all have Cointreau in common. #3 The White Lady was favoured by celebrities at the Savoy Hotel in London in the 1930s. With today’s regained popularity of gin, this cocktail is poised to reclaim its deserved place in the hall of classics. This cocktail is perfect if you’re having a small and intimate family gathering. For those larger ones it can be quite interactive and a lot of fun having family & friends watch you be Bartender for the day! Combine all ingredients with ice in a mixing glass. Shake and strain into a chilled cocktail glass. Garnish with a lemon twist. #2 The Original Margarita was the result of a chic socialite, Margaret Sames, (nicknamed Margarita) mixing her favourite spirits together until she made the perfect drink while entertaining at home. In 1948 in Acalpuco, Mexico, the Margarita was born, made with two of her favourites: Tequila & Cointreau. Combine all ingredients in a mixing glass and add ice. Shake and strain into a margarita glass. Garnish with salt and a lime wheel. 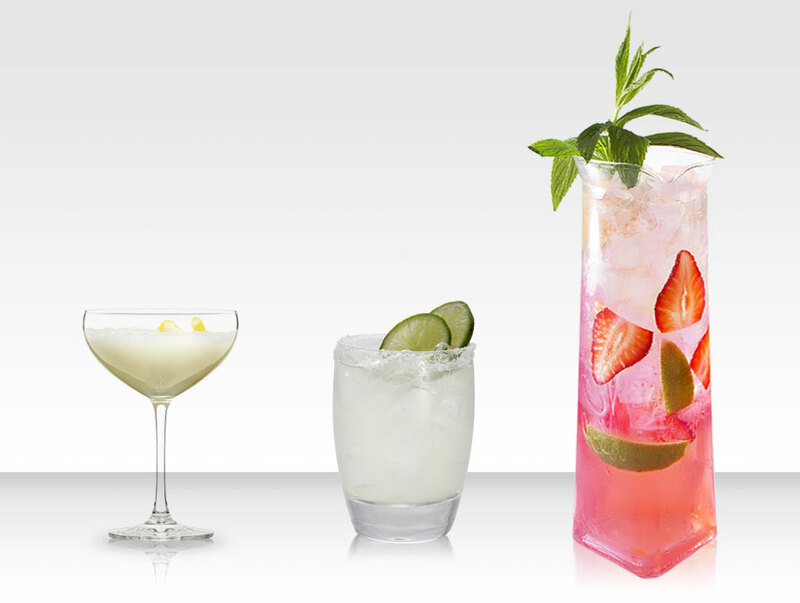 #1 Cointreau Fizz is favoured by many for its simple methods and versatility. You can create a drink that is unique and suits your individual taste. 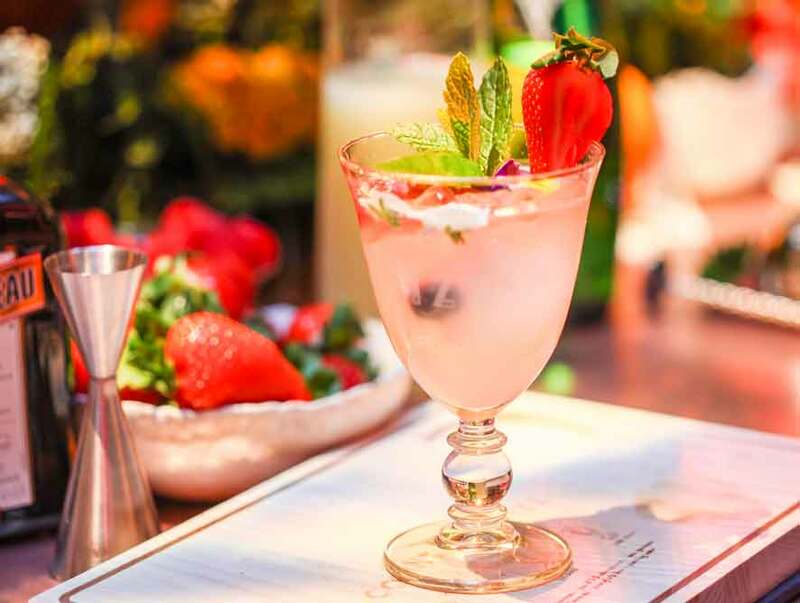 The Fizz options are endless when all you have to do is mix your choice of fruits & garnishes to put your signature twist on a Cointreau Fizz & make it yours! Furthermore, you can make this cocktail in a sharing jug or punch bowl. Muddle strawberries. Build remaining ingredients over ice.. Top with soda & stir. We’re sure you will have everyone talking about your amazing Cointreau cocktails until your next Christmas Party! But, once the festivities are over, don’t wait until next Christmas to create your cocktails, visit your local liquor store for a bottle of Cointreau – the perfect ingredient for any occasion!